> Support > FAQ Center > Why do I always get "Analyze failed" error? 1. Please check your USB connection is well connected or not. 2. Please restart your iPhone and computer. 3. Please change another computer to have a try if you have. 4. Please disconnect all other USB connections. 5. Please close anti-virus software if you have. 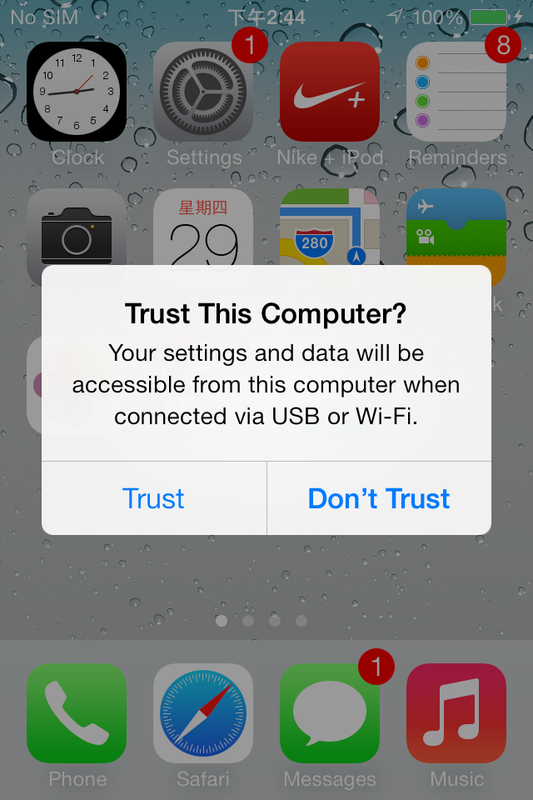 For iOS 7, If it's your first time to connect your device with the computer, please click Trust when the page below appeared on your device.